The Cubs' pitching staff has been in a state of constant flux for about a week now. Names like Anderson, Grimm, Pena, Zastryzny and Dylan Floro have come and gone, all in the name of keeping the bullpen relatively fresh and injecting some life into the starting rotation. Floro made his Cubs debut on Tuesday, in Game One of the day's doubleheader with the Rockies, to mop up Jake Arrieta's short outing and was immediately sent back down in favor of Jeimer Candelario. I guess it's actually a GOOD thing that Jake couldn't make it four innings, otherwise my purchase of Floro's Bowman card would have been for naught. How selfish of a thought is that? Anyway, the shuttle between Iowa and Chicago continues to run a schedule that only a trucker hopped up on coffee and 5 Hour Energy could maintain - I'd hate to have to pay that fuel bill!. In the midst of this continuous game of roster jenga (hey! ), we have received another Cubs debut alert! Cubs will add Eddie Butler to the roster for the Cardinals series. Has a 1.17 ERA in five starts at Iowa. Cubs announced he'll start Friday. 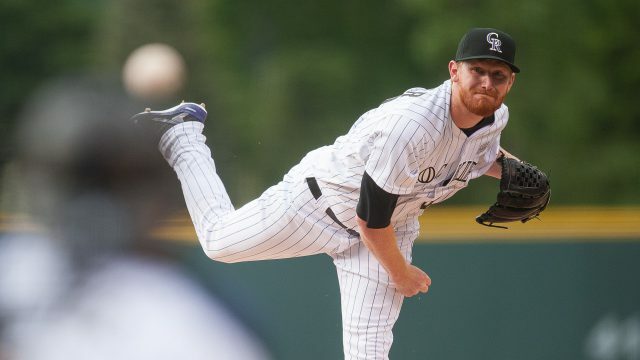 Eddie Butler was acquired in a minor trade with said Rockies, this past February, in exchange for relief prospect James Farris and a couple of international bonus slots switching hands. Now, it's time for this Butler to answer the call to service. 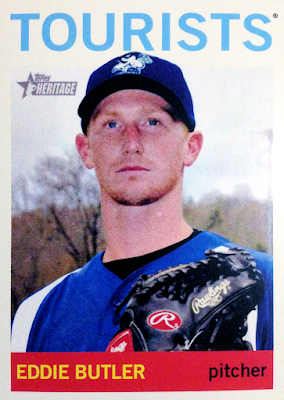 The 26-year old hurler comes with a first round draft pick pedigree (46th overall, 2012) with a live fastball that consistently reached the upper 90's. He quickly progressed through the Rockies chain, from there, and (controversially so) reached the Bigs by 2014. Unfortunately, his stuff never translated to the Big League mound at Coors Field, as he offered a nearly one-to-one strikeout-to-walk ratio, with his secondary breaking pitches flattening out and getting hit hard. All told, across three partial seasons of being jerked back and forth between the Majors and AAA, Butler posted a dismal 6.50 ERA in 159.1 innings. The Rocks gave up on the former top prospect this winter, after a roster crunch forced their hand, leading to his being DFA'ed. Butler during his time in the Rocky Mountains, image courtesy of Getty Images. The "Bosmosis" effect seemed to work in Spring Training, as Eddie limited opponents to a .204 batting average and struck out batters at an impressive clip. 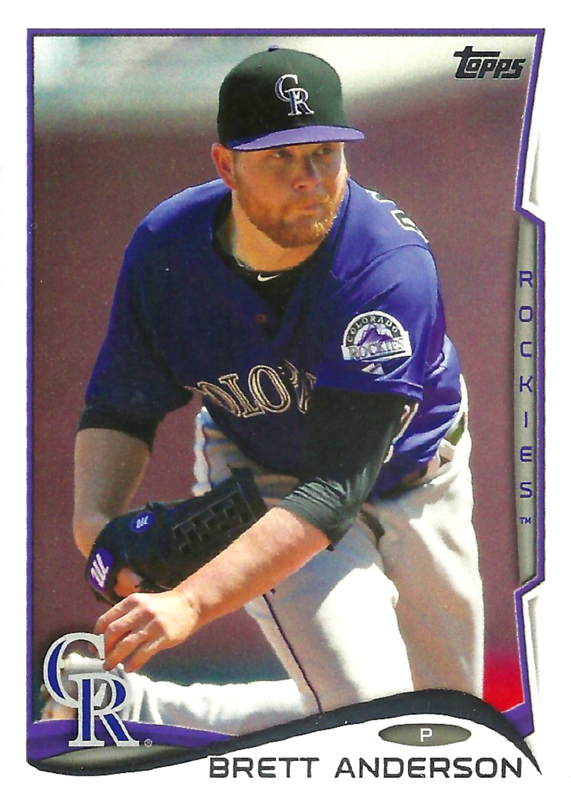 While Brett Anderson initially won the fifth starters job out of camp, Butler solidified his chances at being the first called up if starting reinforcements were required. With Brett's ugly start to the season and subsequent injury, now is Butler's time to shine. As long as his breaking pitches break, there's no way he could be worse than Brett. Sorry to poo-poo on you, Brett, but the results just haven't been there. Honestly, I don't remember purchasing any 2013 Topps Heritage Minor League in any form; but, apparently, at some point in the past few years, I pulled the trigger on at least a singular pack of the stuff. I guess it's a good thing that I did, as this was the only Butler in my trade box - into my Cubs All-Time Roster Collection binder it now goes. 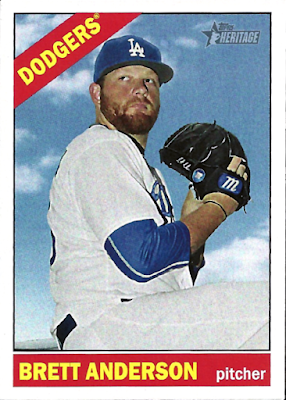 Here's hoping that he seizes his opportunity, takes that fifth starter's spot with authority, and earns himself a real, authentic Chicago Cubs baseball card. The pitching staff could really use that stability, at this time. It's amazing how quickly the baseball tide can turn. Last year, the Cubs starting staff was historically good and it took until almost the All-Star break before someone other than the original five took a turn in the starting rotation. This year, the Cubs rotation ranks in the middle-lower part of the pack and we barely made it to May without the whole thing starting to unravel. Like I said, baseball is a funny sport. 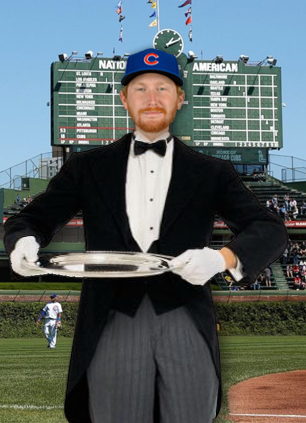 Perhaps when the Cubbies eventually turn this thing around, we can look back and say, unironically, that "the Butler did it!" The Cubs have certainly forced you to work overtime with your Jenga collection given this mass of roster moves they've made over the past couple weeks. I feel like that was constantly the Yanks in 15-16. The revolving door of mediocre options when all depth has been depleted is very tough.